Din Sylwy is a large limestone outcrop in eastern of Anglesey, lying between the village of Llanddona and the coast. 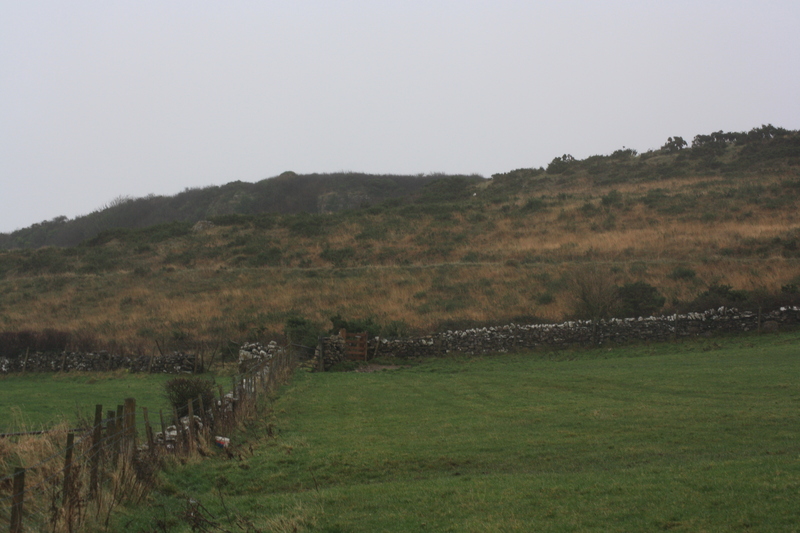 Standing out in the surrounding countryside it is one of the largest hill forts on the island, having been the defensive home of the local Iron Age population and later of the Roman incomers who occupied the site in the third and fourth centuries. Later it was quarried to provide stone to build the Menai Bridge. On its western slopes lies the small church of Llanfihangel din Sylwy, St Michael’s. Like a number of small Anglesey churches it is now alone in fields, having been deserted by the community that once surrounded it. The surviving church building is a small simple construction dating from the early fifteenth century, and retaining some of its medieval features although it was largely rebuilt in 1855, an event marked by the date carved roughly into the stone to the left of the doorway. It now hosts just occasional services on summer Sunday mornings and we were unable to see inside during our visit. Its main attraction to us was the remains of a well, which lies outside the church gate, some 20 yards up the slope of Din Sylwy. 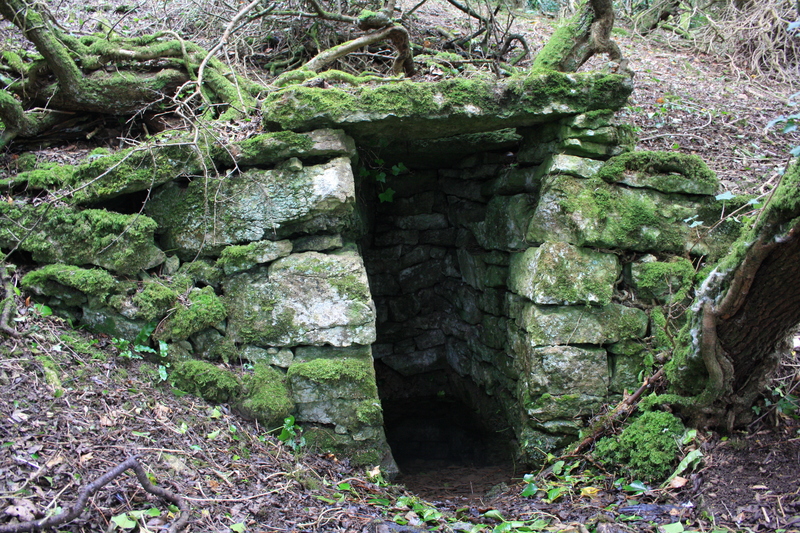 The well too is largely forgotten, although a relatively well worn track led the way, suggesting that some people at least still visit, although some of the local residents we mentioned it to were unaware of its existence. 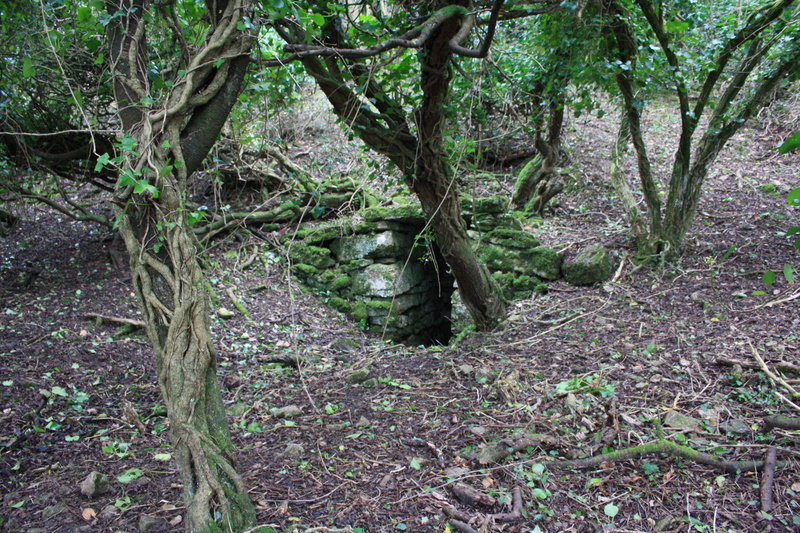 Tristam Gray Hulse has reasonably suggested that perhaps it may well be a lost St Michael’s Well following the dedication of the church, and one of a number of such wells across North Wales. This is based purely by association with the church and not with any evidence to support it. 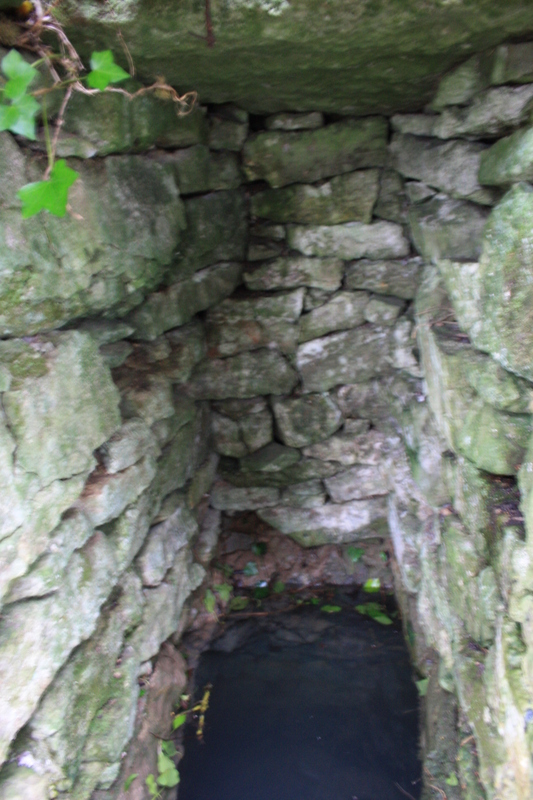 The well is cut into the hillside. A narrow outlet lined with stone and roofed with two large flat stone slabs. Two small steps descend into the water which was some three feet deep at the bottom of the recess. That, and the state of preservation of the well suggest that at some time in recent history the well may have been reconstructed to some degree. Judging by tracks left in branches and leaves on the hillside it is probable that at times the well overflows its tank, the weather had been particularly wet at the time of our visit. From this well we climbed Din Sylwy and crossed the flat top of the fortress. A vast circular expanse, ringed around by a lip of stone walling has earned the monument the name Bwrdd Arthur – Arthur’s Table. Although the sea is close by it was virtually invisible through the low mist and drizzle which has set in by then. On the opposite side of the hill we approached Llanddona beach, famed in local legend as the arrival point of the notorious Llanddona witches, who were reputed to have come ashore here at some unremembered point in history. Baring Gould  surmises that these were probably Irish criminals who had been set adrift from the coast of Ireland in a curricle with no rudder or paddles, this was a traditional punishment; although other legends identify them as being of Spanish descent. On reaching the shore they begged the local inhabitants for food and water, but the locals feared these strange foreign seafarers and refused trying to force them back into the sea. However, the leader struck the earth with his staff, bringing forth a stream of clear cold water. In fear of this display the locals backed off, and the newcomers were enabled to stay. They promptly set up home in the area and lived for several generations amongst but separate from the local population. The men lived by smuggling; the legend tells that it was impossible to overcome them, since each carried about with him a black fly tied in a knot of his neckerchief. When their strength failed in a fight they would undo the knots of their cravats, and the flies would fly at the eyes of their opponents and blind them. Meanwhile, the women survived by witchcraft. They were dreaded, since they would curse anyone who refused them food and if they attended a market no one dared to bid against them. It is probable that, like most of those associated with witchcraft they most likely had a good knowledge of medicinal herbs cures and fortune telling , and were resorted to in times if illness and worry. They are remembered still in local legends and folk tales of the island. 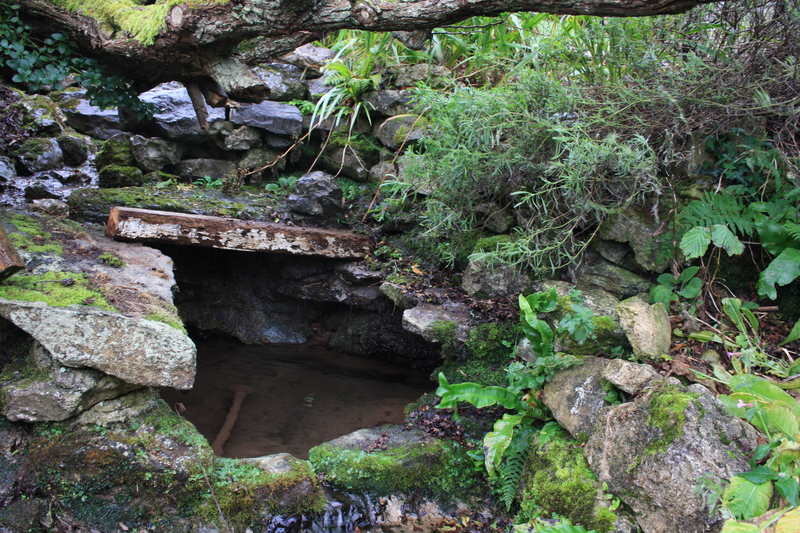 They are also remembered at Ffynnon Oer – the Cold Spring, said to be the spring that they caused to flow on their arrival, and the well around which they made their home. 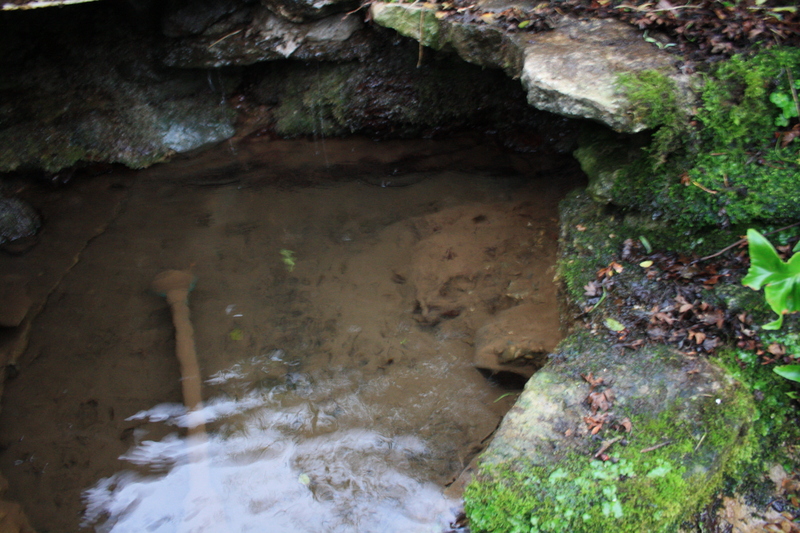 Ffynnon Oer still flows, and still provides the main water source, now pumped and filtered, for the current occupiers of the house on whose land it flows. Here Bella Fawr, the greatest of the witches, is remembered for the good that she did, rather than for any evil. She is imagined to be a midwife for the local population and a healer, and there are stories that the well was also used for baptisms of those born in the area. 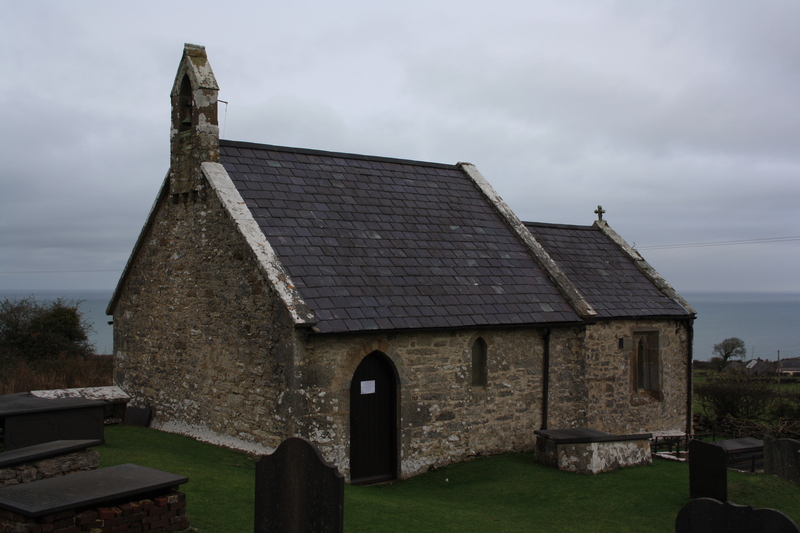 From Ffynnon Oer we headed south to Llaniestyn close to Llanddona, to search for the church and holy well of St Iestyn. Here is another church largely deserted by its community; and although we think we found the well in a small wood close by, it was so wet and dark by then that it wasn’t possible to take pictures. This site will have to await a return visit and a new posting. S Baring Gould (1903) A Book of North Wales. Methuen.